58-57 Bertogal, 58-56 Lourenco and 57-57. WBO Int´l title - 96-94 twice for AA and 96-94 for Skorokhod. Czech heavyweight title. 97-92, 97-95 and 97-93.
vacant Czech supermiddleweight title. 100-88, 99-89 and 99-90.
vacant Czech lightheavy title. 99-92, 97-94 and 98-93.
vacant Czech cruiser title. 95-94 Ducar, 95-95 and 96-94 Reznicek. vacant Czech middleweight title, scored 97-93 and 97-95 Hunanyan and 96-95 Bezvoda. IBF Int´l title. Shipepo down in the first and twice in the seventh. 94-93, 95-92 twice. Fatkhullin down in the sixth. 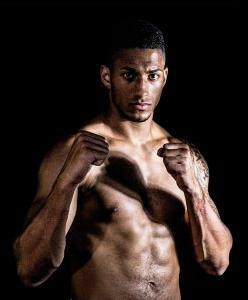 vacant IBF Int´l 130 lb title, scored 115-113 twice and 118-110. Abatangelo regain the Italian title with Mustafa badly cut after an accidental clash of heads. vacant WBC Med 147 lb title. Hakobyan stage a strong finish to get a close win on scores of 97-93, 96-94 and 95-95.